How do you deploy a Scala program to a Spark Cluster? In this tutorial, we’ll cover how to build, deploy and run a Scala driver program to a Spark Cluster. The focus will be on a simple example in order to gain confidence and set the foundation for more advanced examples in the future. To keep things interesting, we’re going to add some SBT and Sublime 3 editor for fun. This post assumes Scala and SBT experience, but if not, it’s a chance to gain further understanding of the Scala language and simple build tool (SBT). 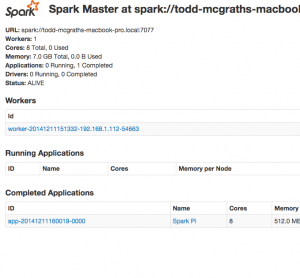 Make sure your Spark cluster master and at least one worker is running. 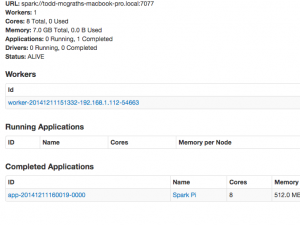 Refer to the previous post, Running a local Standalone Spark Cluster if you run into any issues. Ok, so you should now be in the sparksample directory and have project/ and src/ dirs. In any text editor, create a plugins.sbt file in projects directory. libraryDependencies += "org.apache.spark" %% "spark-core" % "1.1.1"
Running sbt may trigger many file downloads of 3rd party library jars. It depends on if you attempted something similar with SBT in the past and whether your local cache already has the files. 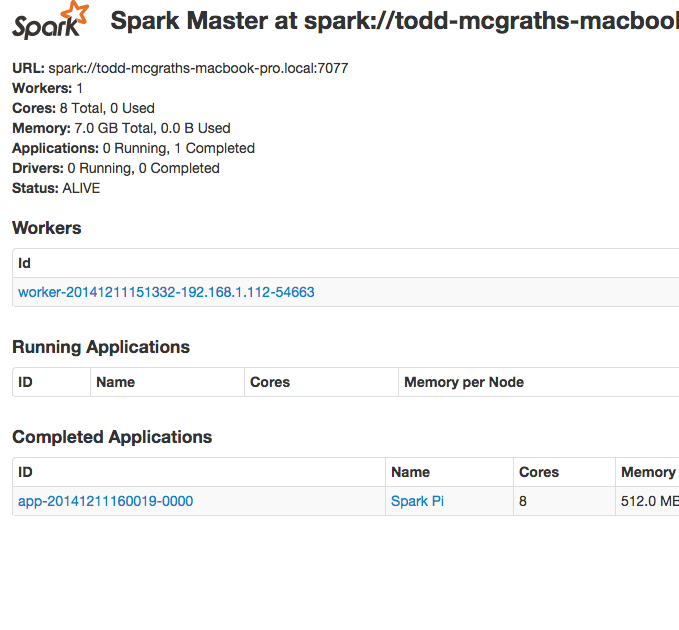 We can assume this because I’m running ../spark-1.6.0-bin-hadoop2.4/bin/spark-submit from the sparksample directory. That’s it. You’ve built, deployed and ran a Scala driver program to Spark Cluster. Simple, I know, but with this experience, you are in good position to move to more complex examples and use cases. Let me know if you have any questions in the comments below. Also, if you are just getting started with Scala and Spark, check out the Scala for Spark course. And finally, make sure to bookmark the Spark Tutorials with Scala page for the latest Scala Spark Tutorials. Will you be so kind, to point me a part of documentation, how to and where put config files (property, loggging) for spark-streaming scala application? I don’t want to hardcode parameters into my classes.